You’re probably here because you’re interested in having your pet stay with us. Just click on the button that corresponds with your reservation needs. You’ll find complete information, pricing and details that will assist you in learning all about Country Lane Pet Resort. You can easily request a reservation for your pet by clicking here on reservations. At Country Lane Pet Resort, we provide you with peace of mind. Our outdoor runs are different from “outdoor runs” at other resorts. At Country Lane, your dog will enjoy running at full speed in one of our many private 45 x 60 fenced play areas. We know the challenges our feline guests present owners when their environment changes. It can be stressful for our feline friends if appropriate efforts are not taken. In an effort to make their stay as comfortable as possible, we recognized the need to create a CAT-SAFE area. So, we contracted to have built an independent building separate from all our canine guests. Nine Lives Lodge is nestled in the woods and offers lovely feline accommodations. It was our commitment to help reduce travel anxieties and create a calm, comfortable place for them to visit. It is full of light with many windows and extremely quiet. The open play space has one wall dedicated to different climbing features mounted on the wall to challenge our feline athletes. We even incorporated a real tree trunk from the property which runs the length from the ceiling to the floor. We want you to be satisfied with our service and feel confident in your choice. If you have any questions, please contact us. Thanks for dropping by and enjoy your tour! Enjoy our full photo gallery which can be accessed under the information link (or clicking HERE). The entire caregiver team at Country Lane Pet Resort is committed to making sure your pet has a healthy and fun visit while you’re away. Finn, our Pappillon mix, is a certified therapy dog. 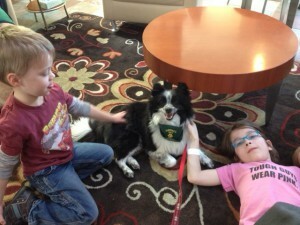 Here is Finn and friends at the Cincinnati Ronald McDonald House. We also want to make sure you have total peace of mind so you can enjoy your travel and not worry while your away. For those of you who may be considering Country Lane Pet Resort for the first time, some of the most comforting feedback is to read the opinions of others who used and experienced our commitment and level of care. Take a moment and enjoy their candid feedback. Below are two opportunities to provide us feedback. While your memories of your last visit are still fresh and if you wouldn’t mind, please take a moment to send us an email with your comments and share with us your experience. Are you an Angie’s List member interested in posting feedback on your experience at Country Lane Pet Resort? Or, simply want to read what other Angie’s List members are saying about their experience? If so, please click on the Angie’s List Super Service Award button and follow the prompts. The hard working caregiver team at Country Lane would love to hear from you! 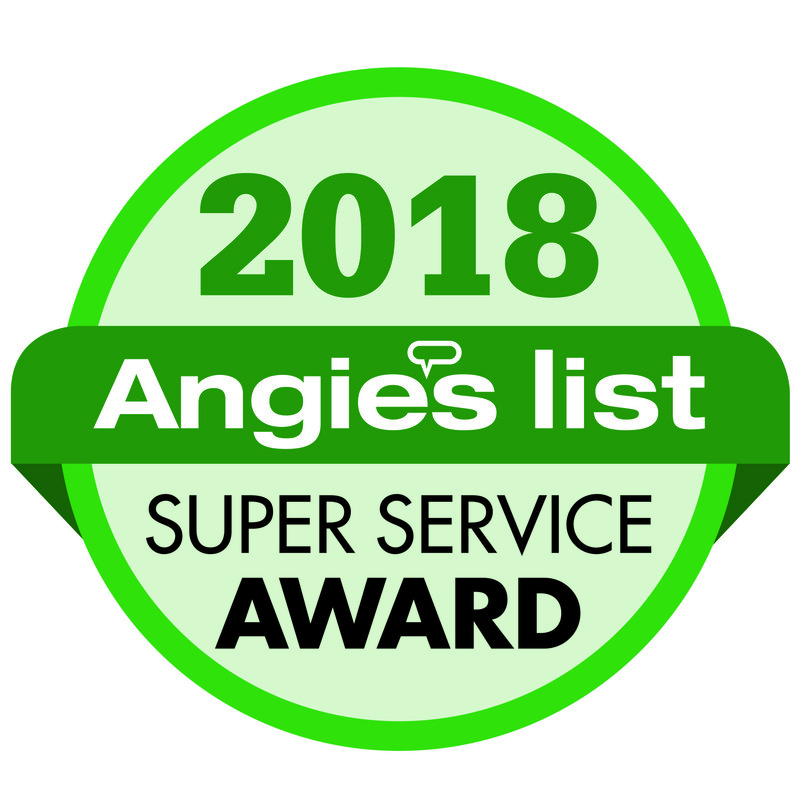 the Angie’s List Super Service Award! We use Angie’s List to access whether we’re keeping valued customers like you happy. Please visit http://www.angieslist.com/review/90338 in order to grade our quality of work and customer service. Dogs know when they’re being treated unfairly! Click HERE to read Randy’s article in the Cincinnati Enquirer. In Patricia’s book, she documents a scientific experiment which showed that dogs who see another dog receiving a treat, but do not receive one themselves, feel envy and jealously. How does this relate to Country Lane and our philosophy of pet care? Watch dogs at play in the big yards – click here to view the video on the “A Day at Country Day” page.